Crashed your quadcopter? Need better performance? Want to upgrade? At P&P pc, our experienced drone specialist can repair or set up your drone for optimal performance. We can even provide assistance with your viewing configuration. Working on drones or quads requires special knowledge and skills. 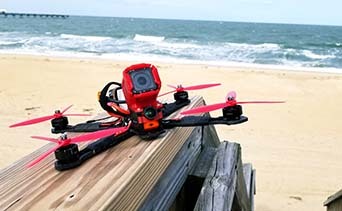 P&P pc's technician has years of experience flying, setting up, and racing quadcopters—he's the perfect person to take on our drone repair services. Our turnaround time is much faster than factories or other service centers that require you to send your crashed quad to them. P&P pc has established relationships with suppliers and local vendors to get the right part or service quickly. We'll get you back in the air faster and performing better than ever.